We solve all Driver’s License Problems. Former Prosecutor with over 30 years in the local courts. DUI, Traffic Violations and License Suspension experts. We are familiar with the local courts systems and we work extremely well with the local prosecutors. Your child’s driving privileges are on the line! We don’t believe that a mistake made in one’s youth should haunt them for years into their future. Under Pennsylvania law, an underage drinking conviction results in a driver’s license suspension, commencing on the date a teen applies for a driver’s license, typically at age sixteen. 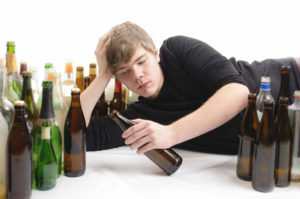 What many people don’t know, however, is that a young person may qualify to have the underage drinking charge cleared from their record upon reaching the age of twenty-one. If you, or a son or daughter, have an underage drinking charge on their record, and are now twenty-one years old, we can help clear their record. Contact the Law Offices of Edwin L. Guyer to schedule an opportunity to meet with us today. In Pennsylvania, drivers under 21 face very different DUI laws than drivers who are 21+. A 21+ driver has a certain amount of leeway in driving with alcohol in their system—as long as their blood alcohol concentration (BAC) is less than .08%, and they aren’t showing signs of impairment, they usually cannot be convicted of DUI. But Pennsylvania has adopted a “Zero Tolerance” rule for drivers who are under 21 years of age. These younger drivers face much higher standards than adults do. We’ll cover each of these areas in detail below. How are DUI breath test rules different for drivers under 21? The first step of most DUI investigations is to ask the driver to take a breath test. Officers can do this during a traffic stop with a portable device. What is the legal limit for drivers under 21? For adults, the “legal limit” is .08% BAC. The legal limit for drivers under 21 is .02%. Because of the state’s Zero Tolerance law, it is illegal for you to drive with any measurable amount of alcohol in your system. If you take the breath test and blow even a .01%—the smallest amount of alcohol it can record—you are in violation of the law. Just because there is alcohol in your system doesn’t mean you’ll be convicted of a full DUI. How long will an underage DUI driver’s license be suspended? The license suspension period is longer if you are under 21. ARD is 3 months or 1 year if convicted.